This vintage claims to be “Classic” purely to set itself apart from the tendancy to promote wines whose aromas have their origin neither in the variety of grape nor in the locality...This Muscadet is developed and vinified to be appreciated young “on the fruit”. It is crystal clear and the color of yellow straw. Lime, grapefruit, white fruits, pear and apple, salty and citrus notes are generously present on the nose. SURFACE: 4.50 ha (11.12 acres). AGE OF VINES: 30-35 years old. Orientation of the slopes is WEST and NORTH WEST. Soil is Siliceous with a sub-soil of metamorphic rock. Soil ploughing and soil scraping. Canopy management. - Reception of the grape harvest by gravity. - No use of pumps. - No racking of the must. - Fermentation 100 % natural yeast. covered with glass tiles during 14 months. The domaine is located in the hamlet of Le Landreau in Sevre et Maine, Muscadet's best region of production. The family has been producing wine there for 5 generations, but current owner Guy Bossard defies the prevailing view that organic producers can't make great wine. The estate became organic in 1975, and biodynamic in 1986. Guy Bossard makes his own compost using algae, forest brush and basalt. He produces 3 different cuvees, each masterfully crafted to highlight the expression of the specific soil types. 1. Typicity - Trueness to type (no oak here). 2. Ageability - The ability to improve in the bottle. 3. Minerality - Classic feature of wines of this region. This insignia, Hermine d'Or, is as near a guarantee of quality as can be found in the region. "Ah, my beloved Muscadet always pops up on this list, as I like to buy'em and age'em for upward of a decade. Guy Bossard, the owner-winemaker of Domaine de l'Ecu, is obsessed with Muscadet. His vines and winemaking are fully biodynamic. 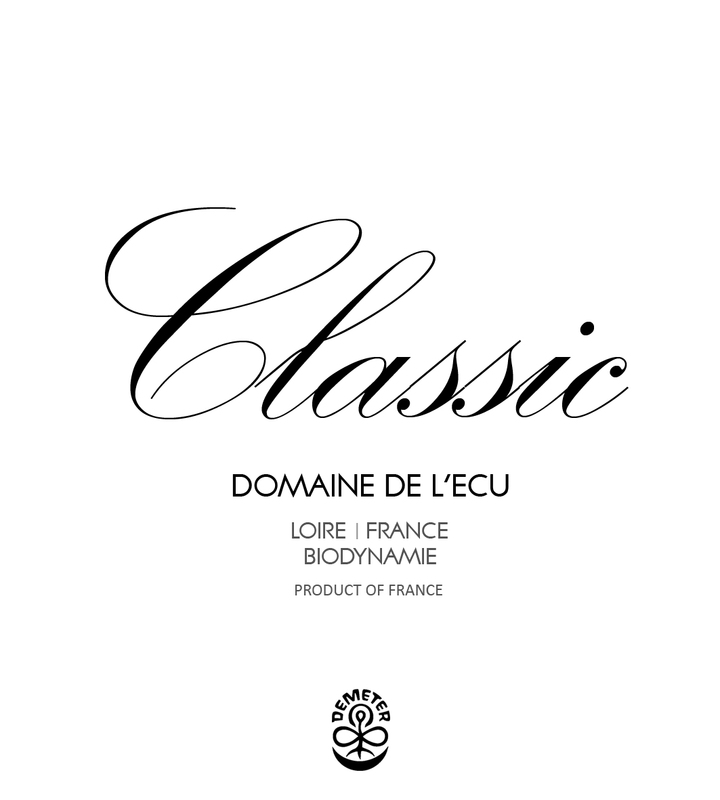 If Burgundy's Domaine Leroy made Muscadet, it would be Domaine de l'Ecu. In the classic 2002 vintage, Bossard offered multiple bottlings based on soil types. His Expression de Granit is all about intense minerality; Expression d'Orthogneiss is spicier, richer and denser. Both need 10 years of age. The prices are absurdly low." Guy Bossard farms 17 hectares (42 acres) entirely using biodynamic methods. The average age of the vines is 45 years.